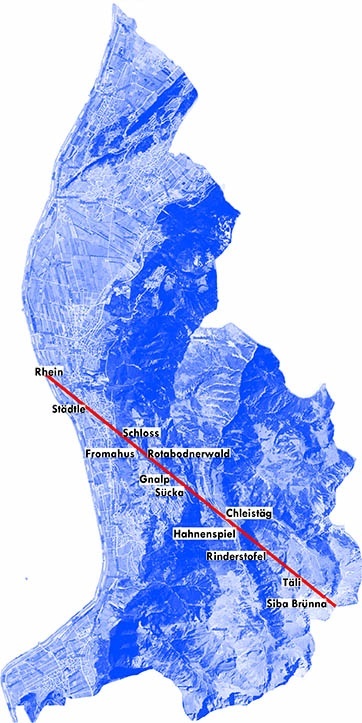 THE LINE explores the shrinkage of remote territory in Liechtenstein in relation to corresponding architectural and infrastructural typologies. Liechtenstein is characterized by a high proximity of urban centres, agriculture and remote alpine areas, resulting mainly from the extreme topography. THE LINE, a cross-section through the country, will be the framework to investigate the shrinking remoteness of FL, from disconnected and fragmented landscapes of the past to highly interlinked spaces of today. The principal method of research – walking, will provide the opportunity to analyse not only the formation of the country since its initial settlement 7000 years ago, but also the relation of topography and architecture. The results of the project will be delivered through an exhibition at Palazzo Trevisan degli Ulivi in Venice opening on 26 May 7pm. The exhibition will be open to the public from 27 May through 30 May 2018. The exhibition will take place in Liechtenstein, opening on 5 June at Rathausplatz in Vaduz, and will be open to the public from 6 June through 29 June 2018 at the University of Liechtenstein. An accompanying program will soon be announced. The exhibition is part of a research project conducted together with the students of Studio Venice at the University of Liechtenstein. 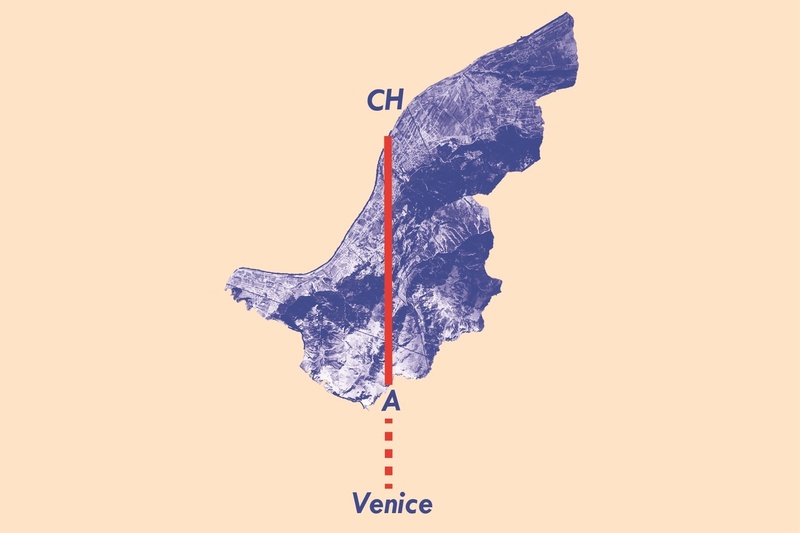 Liechtenstein first featured at the Biennale Venice in 2014 and since continued to do so in both the Architecture and Art Biennale in Venice. 2018 is the first year in which the participants are chosen by an open call. The second floor of the Palazzo Trevisan degli Ulivi at Zattere belongs to the Swiss Confederation and houses the offices of the Swiss Consulate. THE LINE is exhibited in the main room of the Palazzo. Palazzo Trevisan degli Ulivi, Dorsoduro 810, is close to Campo S. Agnese. The nearest vaporetto stop is Zattere. THE LINE is curated by Luis Hilti and Matilde Igual Capdevila from the University of Liechtenstein with Ümit Mesci. Ahmed Elsoudy, Alexander Sokolov, Eddie Sardeng, Enrique Hernández, Hanna Hajda, Holger Dörner, Jin Yiran, Kateryna Dyma, Martin Mraz, Megan Quirey, Michelle Rheinberger, Nina Beck, Nina Meusburger, Philipp Entner, Rüya Hilal Aydede, Sami Akkach, Sofia Liberali and Tatjana Probst.